After an under-performed weekend, Shahrukh Khan and Anushka Sharma starrer biggie Jab Harry Met Sejal got failed to stay steady on Monday despite full fledged holiday of Raksha Bandhan. Due to the weak script, this romantic drama received mixed response from the viewers and as a result, getting crashed within the opening week. Directed by Imtiaz Ali, Jab Harry Met Sejal was released this Friday with huge expectations, as from a good time Bollywood industry is seeking for a hit. Since Baahubali 2 it become very difficult for Hindi movies to attract audience, so this biggie was supposed to be a savior. SRK-Anushka starrer started it’s journey on a good note but below-the-belt as compare to the earlier expectations. On the opening day it recorded good occupancy across the country and emerged as the fourth highest opener of the year so far with the business of 15.25 crores from 3200 screens across the country. On Saturday despite being weekend, the movie didn’t witness any growth and minted the amount of 15 crores. 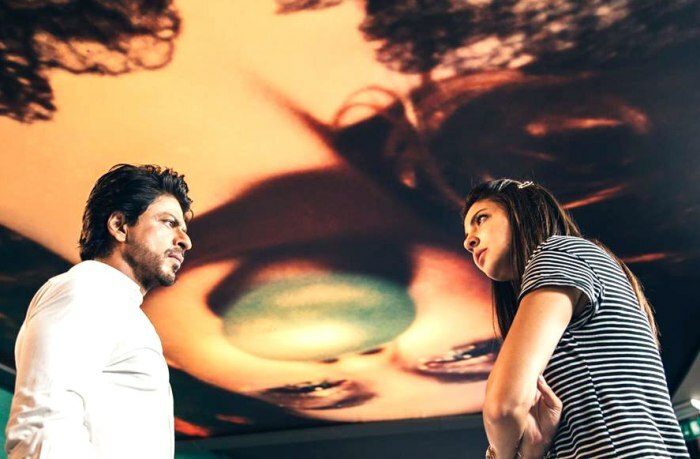 Then on Sunday with limited growth in footfalls, Jab Harry Met Sejal raked the business of 15.50 crores and raised it’s opening weekend business total to 45.75 crores at domestic box office. Now Red Chillies Entertainment’s production has been entered in weekdays and reported an abrupt drop in footfalls. On Monday there was a holiday due to Raksha Bandhan, but still Shahrukh’s this offering bagged the amount of only 7.15 crores with around 53% of drop than Friday. On the next day i.e. Tuesday, Jab Harry Met Sejal faced more drop and garnered the business of 2.90 crores. With this total domestic collection of the movie has become 55.80 crores after 5 days of release. After Tubelight, Jagga Jasoos and Munna Michael, this one too has disappointed everyone.